I am a big fan of garage sales, flea markets, and thrift stores. They are great places to find used parts and materials for your next project. But one problem that I often run into is not being able to test battery powered electronics to see if they work. 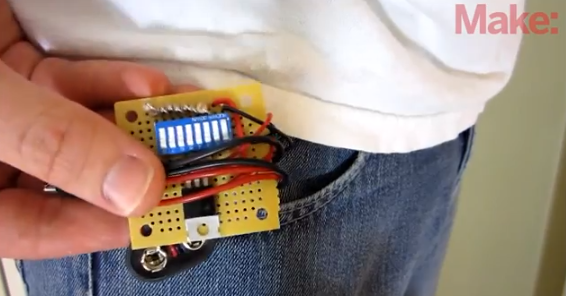 Because there are so many different combinations of batteries that are used in portable electronics, it isn’t really practical to carry around batteries for testing. One device may need 6 AA’s and another may require 4 D’s. Check out the full project on MAKE Projects and on Instructables.